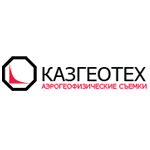 KazGeotech ia a joint venture between the world leader of airborne geophysical surveys, Canadian company Geotech Ltd. and the National company Kazgeology. The company possesses world-class airborne geophysical technologies and equipment required for mineral exploration, hydrogeological and geotechnical research. The company mission is providing modern and advanced airborne geophysical surveys on the territory of Kazakhstan and Central Asia in order to support exploration programs and transfer the latest airborne geophysical technologies into the country with the training of local specialists.